Summer season is coming and it's the time to get gel pedicure. You can enjoy the gel pedicure longer than Hand gel nails due to slow growth of foot nails.We recommend to change your foot gel nail every month and a half. 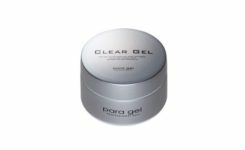 This is the greatest appeal of Paragel and allow your nails to be stress-free compared to the regular Sanding free Gel.We thoroughly recommend Paragel for people who with thin, weak nails and for those who would like to keep your nails damaged free and also, to keep your gel nails as long as possible. Gel (Nail) is a type of Manicure which is required to cure (harden) under a UV (ultraviolet) light.It has the quality to last longer than regular manicure and provides a natural sense of finish with a gloss and transparency look.Also, gel nails allow you to enjoy longer period of time than the regular manicure, becaue of its strength to grow weak and short nails to healthier, stronger nails. 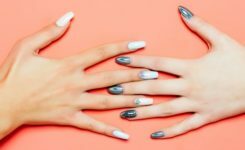 When you introduces a new member, you will receive 10% discount per person for next nail treatment at Nail Salon Florir.